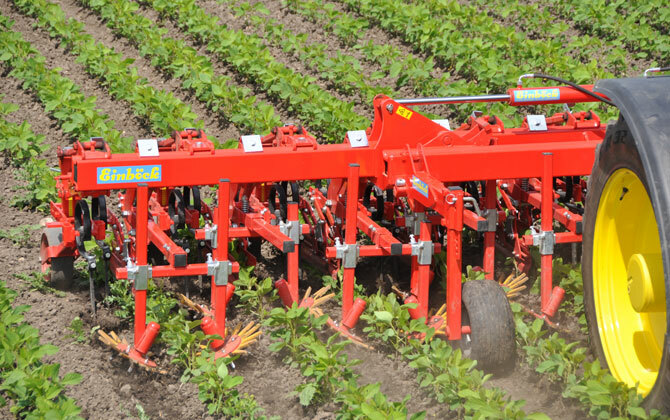 The fingerweeder was designed to work in the row (the sensitive line, approx. 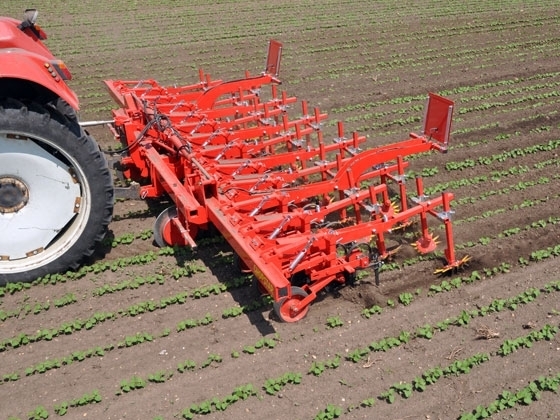 8-14 cm) and to reduce or eliminate weeds there. 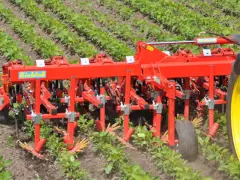 The fingers of synthetic material protect the deep rooting crop and harm the weed.The fingerweeder perfectly works in combination with trailed duckfoot-hoes.